Sdn Bhd, 14 -15 February, 1995, Crown Princess Hotel, Kuala Lumpur. Malaysia has, in recent times, been considered as the first Islamic nation with the potential of becoming an industrialised and advanced country. This observation is based on her achievements in the overall and industrial growth rates of the recent past, its clear and strategic developmentpolicies of the future as well as its level of human skills and developments in various areas. Butthe most relevant factor is the Islamic orientation and commitments which have been amply demonstrated by the Muslim leaders as well as the masses for political, social and religious reasons. Based on these facts, Malaysia can be considered as a very fertile ground for Islamic fund in the future. Before we dwell into the future, it would be appropriate and probably necessary to understand some basic facts about Islamic fund in Malaysia. them will surely enhance our appreciation for the creation of Islamic financial institutions and Islamic fund. Secondly, there have been numerous attempts by Muslims in the past to establish special financial arrangements or financial institutions which would cater for their own needs. We shall therefore provide a brief historical account of the Islamic financial activities in order to understand the Muslims' desire for Islamic funds and financial activities. Thirdly, we have witnessed the breakthrough that have been marked by the establishment of the Islamic Bank, the BIMB in 1983. Although it took some time before other financial institutions joined the bandwagon, but it is only in the last decade or so that Islamic fund in the sense that we talk about has finally been formally established. "The very objective of the Shariah is to promote the welfare of the people, which lies in safeguarding their faith, their life, their intellect, their posterity and their wealth. Whatever ensures the safeguarding of these five serves public interest and is desirable." "The basis of the Shariah is wisdom and welfare of the people in thisworld as well as the Hereafter. This welfare lies in complete justice,mercy, well-being and wisdom. Anything that departs from justice tooppression, from mercy to harshness, from welfare to misery and from wisdom to folly, has nothing to do with the Shariah." form of injustice or loss. wide range of transactions which are beneficial to society as long as they do not contravene any of the specified prohibitions or the general objective of the shariah. "O ye who believe! Eat not up your property among yourselves in vanities: but let there be amongst you traffic and trade by mutual good-will: Nor kill (or destroy) yourselves: for verily God hath been to you Most Merciful!" This verse has profound meaning and therefore needs some elaboration. Firstly, the term property here includes all property you hold in trust, whether it is in your name, or belongs to the community, or to people over whom you have control. None should be wasted, for wasting is not allowed. Secondly, in Surah Al-Baqarah (2): verse 188, the same phrase occurred to caution us against greed. Here it occurrs to encourage us to increase property by economic use (traffic and trade). This reminds us of Christ's parable of the Talents (Matthew xxv, 14-30), where the servants who had increased their master's wealth were promoted and the servant who had hoarded his master's wealth was cast into darkness. Thirdly, we are warned that our waste may mean our own destruction ("nor kill or destroy yourselves"). But there is a more general meaning also: we must be careful of our own and other people"s lives. We must commit no violence. This is the opposite of "traffic and trade by mutual good-will". Fourthly, our violence to our own bretheren is particularly preposterous, seeing that God has loved and showered His mercies on us and all His creatures. One should realise that all transactions must be done with one requirement and that is by mutual agreement and good-will. This becomes a very important precondition which must be fulfilled all the time. In modern terminology, it is the mutual satisfaction of the demand and supply functions which should occur freely and without any form of outside influence or coercion. The following examples will hopefully illustrate some of the intricacies of specific prohibitions, such as riba or interest, doubtful transactions or gharar, unlawful food or drink, acts of cheating, deceit, etc. "Those who devour usury will not stand except as stands one whom theEvil One by his touch hath driven to madness. That is because they say: `Trade is like usury', but Allah hath permitted trade and forbidden usury. Those who after receiving direction from their Lord, desist, shall be pardoned for the past; their case is for Allah (to judge); But those who repeat (the offence) are Companions of the Fire; they will abide therein (forever). Allah will deprive usury of all blessing, but will give increase for deeds of charity; for He loveth not Creatures ungrateful and wicked." demand for usury, if ye are indeed believers. shall not be dealt with unjustly. [Al-Baqarah (2): 278 - 290]. The most important and relevant part of the verses above which clearly does not discriminate between usury (which is also forbidden in Judaism and Christianity) and interest is "But if ye turn back, ye shall have your capital sums". This obviously disallows completely any extra payment or charge made over and above the principle or capital sum. The other parts of the verses provide ample warning to those who continue to practise interest or usury. 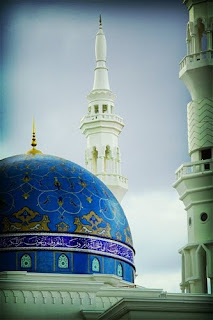 The Holy Prophet's traditions, which are considered as the most important source of Islamic shariah, after the Holy Qur'an, have stated to the effect that exchange between the following six items have to be done equal for equal and hand to hand (meaning delivered instantly) if they are of the same kind. If they are of different kinds, they may be exchanged for unequal amounts but still hand to hand. The six items are: gold, silver, wheat, corn, date and salt. Another of the Holy Prophet's traditions states that when Bilal, one of the great companions, came to him from the market with a measure of good quality dates, he asked, where Bilal got it from for he recognised that the dates were not from Madinah. When Bilal replied that he exchanged two measures of poor quality dates with one measure of good quality dates, the Prophet said that was riba and Bilal should have sold his poor quality dates and used the money to buy the good quality dates. Although the Holy Qur'an did not specifically mention that it was unjust for someone to charge interest, the traditions of the Holy Prophet imply that in barter trades, it is more justified to exchange grains of different qualities in the same amounts for it is almost humanly impossible to know exactly how many grains or parts thereof of one quality grain that would justly be exchanged for some measure of another quality grain. Even if there was a grain or part thereof short or extra, it would constitute injustice. Since Islam stands for absolute justice, interest which is the result of exchange between money (represented by gold and silver in those days) and money is definitely the root cause for injustice and hence forbidden. Riba or interest is forbidden chiefly because of avoiding injustice. The reason for allowing exchange of goods for money is the basis of encouraging fair trade because it is the natural forces of demand and supply that determines equilibrium or just price. Gharar or doubtful transaction is the basis for gambling and hence prohibited. Gambling is a clear case of chance transaction. In the case of such chance transaction, there is no possibility of predicting the outcome. If the outcome can be predicted, there is some amount of information or knowledge available to the transactors to predict the possible outcomes of the transaction. It is here that one is supposed to take the risk based on the knowledge of the deal he is about to close. On the contrary, a doubtful or uncertain transaction, will obviously result in some unfair or unjust outcome to any of the parties involved. A traditional or classical example is one where one is not allowed to lease an orchard while the trees are just flowering. This can result in injustice to any of the two parties, because it is the fruits that are to be transacted and not the flowers. The doubt or uncertainty here lies in the fact that no one knows exactly how many fruits will be borne by the trees. This example again signifies the desire of the Islamic shariah to ensure justice to all parties. It is interesting to note that the Islamic way of establishing justice is to close all doors of injustices right from the start rather than to allow it to happen and mete out the action or punishment later. In general, the number of food items that are prohibited are very small indeed. It can be taken to be a test to those who hold fast to these injunctions. Just like Adam (and Eve) was forbidden to approach only one tree while they were residing in heaven, which was the limit Allah (S.W.T.) imposed on him. The Muslims are forbidden to eat only a few items, whilst there are numerous other items that could be consumed. Secondly, the Holy Qur'an clearly enjoins us to consume lawful and good food items only. In other words, this Qur'anic injunction implies that what is lawful has also to be good and healthy for human consumption. So it is better to avoid such forbidden things rather than taking the risk of consuming harmful food. Thirdly, this is the mercy bestowed upon us by God and it is His manner in exemplifying justice to the human race. Whilst He creates good and harmful things, he has given the true indication of what is good and what is harmful, rather than having to find out through long years of experience. The Golden Rule is that one has to be moderate in everything that one does. In all lawful acts, including devotional acts, one should neither be excessive nor deficient. Excessive or deficient intake of food can lead to harm and hence may even be regarded as unlawful. This principle is very relevant to the practise of overexposing oneself in the Stock Market, because it can lead to very harmful acts, including loss of lives through suicides, as often happened to those who lost heavily in the Stock Market. Ethical behaviour is one of the most important injunctions of the Islamic shariah. Islam does not only enjoin good ethical and moral behaviour, it strongly prohibits unethical and immoral behaviours of all sorts. Most of the unethical and immoral practices will inevitably lead to injustices of various kinds. As such they are clearly prohibited. Exchanges, but they are frequently present mainly out of utter greed. Principle of complete ownership. Complete ownership of some item is necessary before it could be sold. 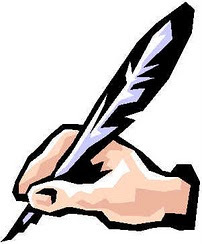 It is a very important requirement in order to avoid undue cheating. One may have to resort to unethical means to obtain the goods for delivery if he has sold before possessing them. Secondly, it is most unlikely that the purchaser could ascertain the quality of the products he is buying since there is nothing he could lay his hands upon. As such short selling is obviously unIslamic and is also not allowed in most countries, except for a few. Before the advent of European powers, namely the Potuguese, Dutch and British to Malaysia, there have been ample records of business transactions being carried out strictly in accordance with the shariah. There was obviously no financial institution to intermediate between the suppliers and demanders for funds, but borrowings were strictly done on interest-free basis. Barter trades were common even at the international level. But there were traces of mudharabah (profit-sharing between capital owners and traders) and musharakah (profit-sharing on the basis of capital or equity participation) practices being carried by rulers and traders. These practices seem to be less widespread after the arrival of the British especially, when money economy and more sphisticated financial institutions started to appear in the economic scene. However, the rural folks used to avoid modern banking because of riba. Most rural folks insisted on interest-free transactions, and preferred to save their money, particularly for pilgrimage in their own selected places. benefits that could be reaped by the establishment of such fund. It was also common to find the rural folks establishing small funds for various purposes including for financing the funeral of the deceased members. They used to make monthly collections from members in the same village and would ensure that all the funeral costs will be borne by the group in case of death of any of the members or their families. When traders sell goods to the villagers, they were fixed at higher prices because most of the villagers prefer to buy them on credit. However, if someone wants to pay cash, a discount would be given. This is based on the principle that no extra amount could be charged on debts for that would be considered as interest. This has been the age-old teaching by their religious elders although cash and credit sales could be charged at different prices as opined by the great grand son of the Holy Prophet (p.b.u.h.) Sayyidina Ali Zainal Abidin. Since that opinion was not considered as in line with those of the majority of the jurists, it was not acceptable to Muslims in Malaysia. Although traditional Islamic education in the States of Kelantan, Trengganu, Kedah and Perak continued to survive the onslaught of western education, most of them only taught the rules of Islamic transactions, based on traditional practices. No attempt was ever made to modernise the knowledge based on current practices. As such the traditional were incapable of handling the new practices and hence remained adamant with the the outdated knowledge they knew. It was only after the recent rise of Islamic revivalism which started around the sixties and seventies culminated in the establishment of Islamic Banking and Educational institutions which started to introduce Islamic economics and related subjects. This was made possible by the entrance of the western educated Muslim professionals into the Islamic movements of the time. Having understood the Islamic shariah themselves, they were able to evaluate the workings of modern economic and business transactions in accordance with the shariah. It was also the economic writings of Muslims in other parts of the Muslim world that expedited such reinterpretations. breakthrough because each was supposed to complement each other. Without any further hesitation, instituions such as the Pilgrims Management and Fund Board and the Baitul Mal (Treasury) of the State Religious Councils were immediately required to be in full allignment with the shariah. The Islamic Economic Development Faoundation of Malaysia (Yayasan Pembangunan Ekonomi Islam Malaysia or YPEIM) which was dormant since its establishment in 1976, was restructured by H.E. the Prime Minister in 1984 and became more efficiently organised under the able leadership of the Islamic Bank's first Managing Director, Dato' Dr. Abdul Halim Ismail. expanding Islamic financial services to the Muslims. The success of these institutions encouraged the Central Bank to play its role in providing the facilities such as the creation of the Goverment Islamic Securities which fulfilled the Central Bank reserve requirements on the Islamic Bank as well as the latters commitment to transact in interest-free securities. The priniciple adopted in the creation of this fundamental instrument is based upon the Holy Prophet's practice of benevolence by paying slightly more than the principal sum he borrowed. Indeed he did encourage borrowers to give slightly more than the amount borrowed since the credit received almost surely had benefitted the borrower. 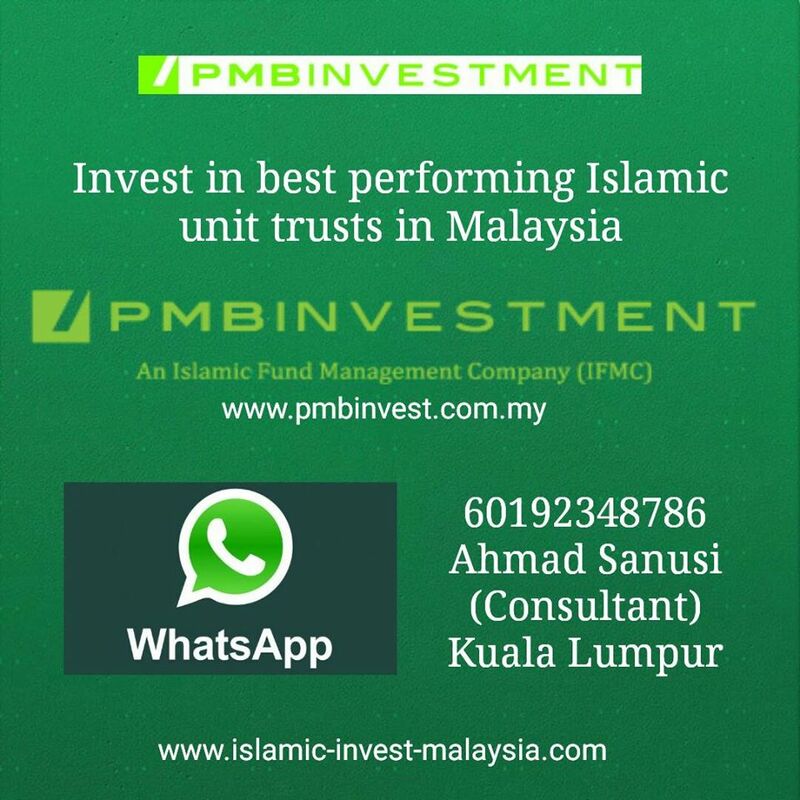 Unit Trusts and the BIMB Securities (Islamic Stock Broking). In fact BIMB has become a model not only in Malaysia but also in the Muslim world as the leading authority in Islamic Banking today. It has provided impetus for the establishment of Islamic Banking and Insurance in Indonesia and Brunei in the last couple of years. BIMB has also started to export its expertise by conducting courses on Isamic banking operations to international professionals from various countries. The success of ASN and ASB by PNB and ASJ (Johore) have actually paved the way for the establishment of Islamic Unit Trusts. 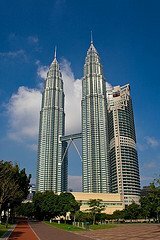 The first institution to start one was Arab-Malaysian Bank when it established the Tabung Al-Ittikal in 1991 followed by Tabung Amanah Bakti by Asia Unit Trust Berhad in 1993. In 1994, we have witnessed the establishment of Unit Trust by BIMB, the States of Sarawak, Selangor dan Kedah. Other States like Trengganu and Melaka will follow soon. 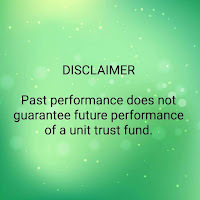 Although not all of these Unit Trusts strictly follow the Islamic shariah, most of them claim that they will in the near future. There are two areas of concern as far as the Islamic Unit trusts are concerned. The first is that the choice of the portfolios must be in accordance with the shariah. In order to ensure this, each stock is considered lawful if its main activity does not involve any of the prohibited practices, namely riba or interest, gharar or uncertainty or doubt, production or trading of prohibited products. Since there is no possibility of any of the public listed companies to completely conduct its financial transactions in the Islamic way, this requirement is temporarily lifted merely on practical grounds. If there are sufficient facilities for all financial transactions of these companies to be conducted in the Islamic way, then I believe this temporary condition will be withdrawn. A holding company which fulfills the above condition will loose its Islamic status if it has any subsidiary which does not fulfill the above condition. However, even if a holding company is unIslamic in the above sense, we can steal deal with its subsidiaries which fulfill the above stipulation. The second area of concern is the management of funds which are normally parked in interest bearing deposits. It is also to be noted that the insurance bonuses offered as incentives to unit holders should also be Islamic in nature. Firstly, Islamic fund is growing at a rapid rate since the establishment of the Islamic Bank. We should not look at only the deposits held by the Islamic Bank and the other conventional bankswhich operate Islamic windows. These two sources alone have to date accummulated around RM5 billions. We have other instituions like the Pilgrims Management and Fund Board, Bank Rakyat which is actively turning itself to an Islamic Bank, the Baitul Mal of every state, YPEIM, the Islamic Unit Trusts, the Syarikat Takaful and MNI-Takaful, which are all holding Islamic funds. Secondly, there are a number of Muslim-owned companies which have shown clear interest and commitment in undertaking their financial transactions in the Islamic way, since their main activities are already in line with the shariah. Thirdly, the move to set up Islamic banking and insurance in Indonesia and Brunei is yet another move towards expanding the size of Islamic fund in the region, thereby providing greater potential for Islamically oriented investments in the future. We have also witnessed an increasing interest by some other finanacial houses such as RHB to provide Islamic financial instruments recently. I know of others who have contacted me for advice to convert their operations into the Islamic way. From the above scenario, it would not be long before we see the establishment of an Islamic financial system as a viable alternative to the present conventional system.